Market research firm DFC Intelligence believes that revenues from PC games have now surpassed revenues from console games, in what is an interesting call on a market that is often branded as "dying" by various people involved with the gaming industry. David Cole, head of DFC, told UK website PCR that the shift to PC games as the leading revenue stream in the gaming market wasn't expected to occur until 2015, but free-to-play and multiplayer online battle arena (MOBA) titles continue to perform strongly. 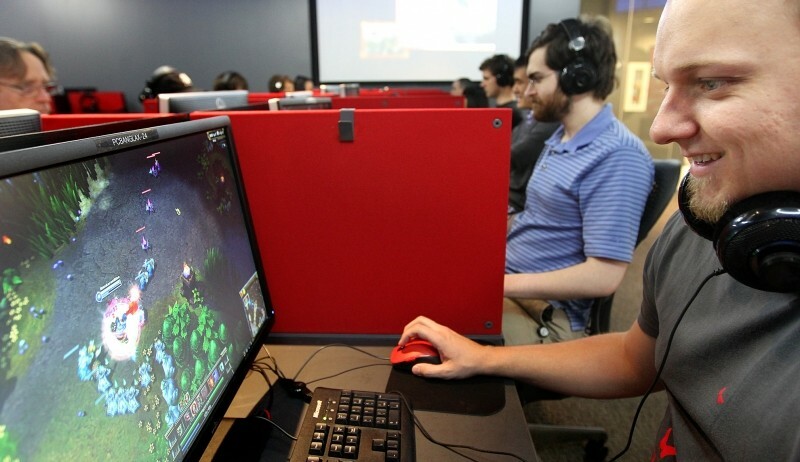 Cole stated that MOBA games such as Dota 2 and League of Legends are the dominant force on PC, followed by a mix of MMOs, strategy games and first-person shooters. Cole says that "among core gamers there is a heavy overlap with most console gamers also playing on a PC. The big difference is that consoles are now the luxury item and PCs are the necessity. Just a few years ago the reverse was true. This means PCs have the broader audience." While DFC didn't reveal the numbers behind their statement - you'll have to purchase their $2,995 report for a detailed analysis - Cole did mention an interesting statistic. According to their data, no game released in 2013 made the list of top 20 most played games that year, although new titles Hearthstone, DayZ and Rust have entered the list in Q1 2014. It's always good to hear that PC gaming continues to be popular around the world, and it's not too surprising that free-to-play games are leading the way. With that said, it'd be interesting to know how well paid AAA games on PC (like Borderlands 2 and Skyrim) sell compared to their console counterparts, and whether that gap is about to close any time soon.